There is a primary principle dentists follow regarding tooth decay—treat it as soon as you find it. 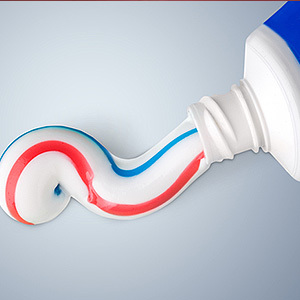 Something as simple and routine as filling a cavity could prevent future tooth loss. But treating a cavity at or below the gum line could be anything but simple and routine. 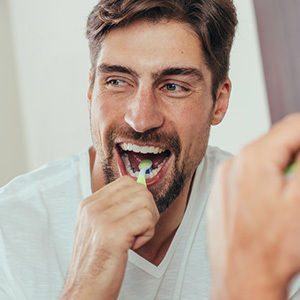 Older adults who may also be dealing with gum recession are more likely to have these kinds of cavities where the gums block clear access to it. But there is a way to access gum-covered cavities with a minor surgical procedure known as crown lengthening. 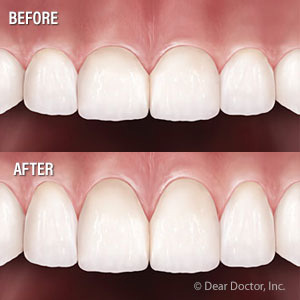 Crown lengthening is commonly used in cosmetic dentistry to expose more of the visible teeth when there's an overabundance of gum tissue or if the teeth are disproportionately small. We can use it in this instance to surgically relocate the blocking gum tissue out of the way of the cavity. After numbing the area with local anesthesia, tiny incisions will be made in the gums to create a tissue flap. After reshaping the underlying bone to recreate normal anatomy but at a different level, this flap is then moved and sutured to a new position. 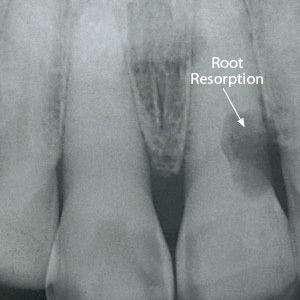 This exposes enough tooth structure so that the cavity can be repaired after gum healing. As with any minor surgery, there's a very slight risk of bleeding and/or infection with crown lengthening. If you undergo this procedure, you'll receive post-care instructions for the first few days afterward including avoiding strenuous activities, eating only soft foods and using an ice pack the day of surgery to help control swelling. This versatile procedure can help save a tooth that might otherwise be lost due to decay. And, it might even improve your appearance.